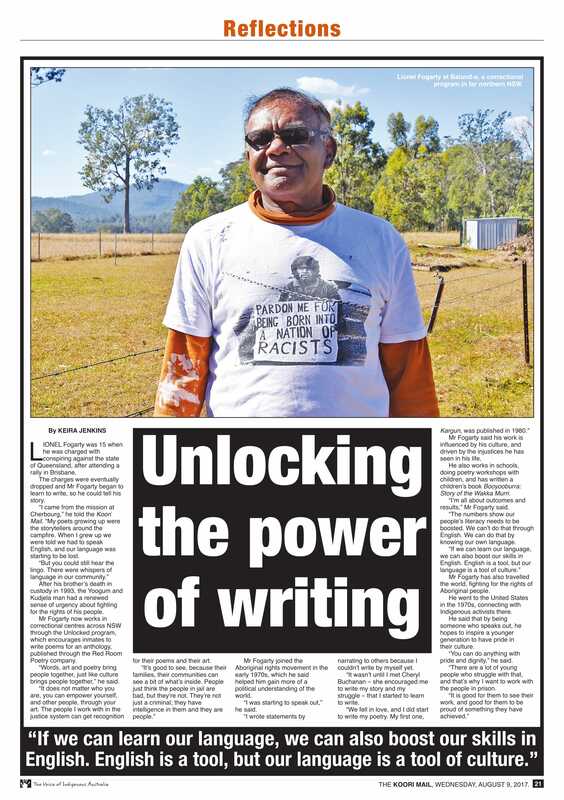 Unlocked returned to to Balund-a with Murri poet, Lionel Fogarty, and musician Joe Geia for a special series of Unlocked poetry workshops. Lionel and Joe are both pionering activists and leading spokespeople for Indigenous rights in all areas. The program ran from 31 July - 3 August, with three full day workshops of poetry, language, music and art, culminating on the fourth day with a community-led event by local Elders. Unlocked plays an important role in connecting Indigenous communities and celebrating cultural connection with Elders. 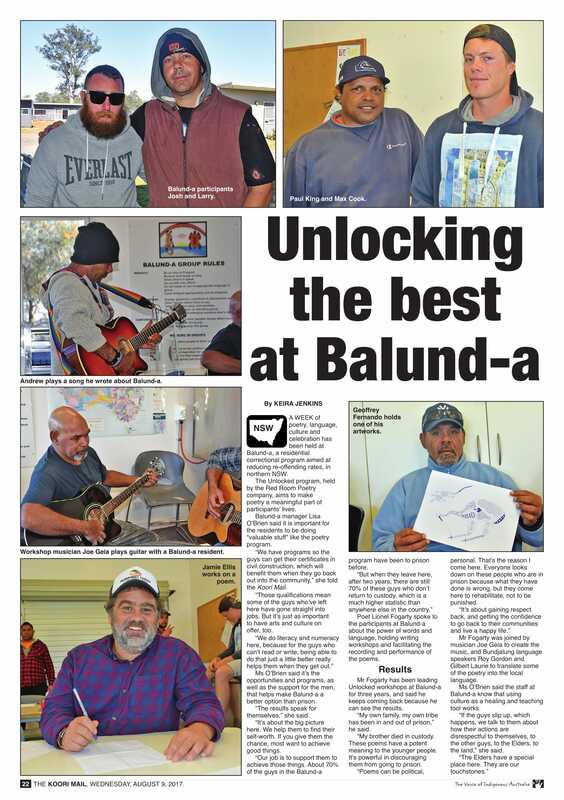 The Balund-a Program is an innovative residential diversionary program for male offenders over 18 years of age. Located at Tabulam, within the Bundjalung Nation, the program's aim is to reduce re-offending and enhance skills within a cultural and supportive community environment. The Aboriginal name, Bugilmah Burube Wullinje Balund-a roughly translates as "Be good now you have a second chance down by the river". Click the pages below to enlarge.